Austen's works criticized sentimental novels in the late 18th century, and are part of the change to nineteenth- realism. She wrote about typical people in everyday life. This gave the English novel its first distinctly modern character. Austen's stories are often comic, but they also show how women depended on marriage for social standing and economic security. Her works are also about moral problems. Jane Austen was very modest about her own genius. She once famously described her work as "the little bit (two Inches wide) of Ivory, on which I work with so fine a brush, as produces little effect after much labor". When she was a girl she wrote stories. Her works were printed only after much revision. Only four of her novels were printed while she was alive. They were Sense and Sensibility (1811), Pride and Prejudice (1813), Mansfield Park (1814) and Emma (1816). Two other novels, Northanger Abbey and Persuasion, were printed in 1817 with a biographical notice by her brother, Henry Austen. Persuasion was written shortly before her death. She also wrote two earlier works, Lady Susan, and an unfinished novel, The Watsons. She had been working on a new novel, Sanditon, but she died before she could finish it. She is now a well known great writer. Austen's parents, George Austen (1731–1805), and his wife, Cassandra (1739–1827), were both part of the gentry. Cassandra was a part of the important Leigh family. George Austen, however, was of a lower class of society. He had first met Cassandra at Oxford, while she was meeting her uncle Theophilus. George and Cassandra married on 26 April 1764 at Walcot Church in Bath. Austen was born on 16 December 1775 at Steventon rectory. She was christened at home and then, as the Book of Common Prayer directs, brought to church for the baptism to be certified in public on 5 April 1776. A few months after she was born, her mother hired a woman named Elizabeth Littlewood to nurse her. Littlewood took care of Austen for about a year. According to family tradition, Jane and Cassandra were sent to Oxford to be educated by Mrs. Ann Crawley in 1783. They moved with her to Southampton later in the year. Both girls caught typhus and Jane almost died. After that, Austen was educated at home until she went to boarding school with Cassandra early in 1785. She learned some French, spelling, needlework, dancing,music, and probably drama. In the winter of 1786, Jane and Cassandra went back home. ↑ "Jane Austen (English novelist) – Britannica Online Encyclopedia". britannica.com. Retrieved 31 May 2010. ↑ Le Faye, "Chronology", 2–3; Tucker, "Amateur Theatricals at Steventon", The Jane Austen Companion, 1–2; Byrne, 1–39; Gay, ix, 1; Tomalin, 31–32, 40–42, 55–57, 62–63; Honan, 35, 47–52, 423–24, n. 20. ↑ 30.0 30.1 Helen Amy, "Jane Austen", 29. ↑ "Maturity in Southampton (1806–1809) and Chawton (1809–1817)". "The Works of Jane Austen". thegreatbooks.org. Retrieved 30 May 2010. 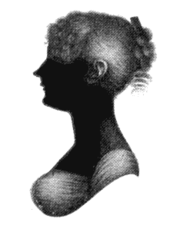 "Jane Austen at Project Gutenberg". gutenberg.org. Retrieved 30 May 2010. "Jane Austen's Works (including Juvenilia)". feedbooks.com. Retrieved 30 May 2010. "Works by Jane Austen (ebooks in HTML)". romance-books.classic-literature.co.uk. Retrieved 30 May 2010. "Works by Jane Austen – printable PDF ebooks". riapress.com. Retrieved 30 May 2010.